We’re looking to add members to our amazing Barn Leader Assistant team! The ideal candidate is a confident animal handler who is eager to help in a fast-paced environment and make sure each Little Barn shift runs smoothly. Walk difficult dogs when needed. Lead and train new volunteers during their first shifts. Help complete the Barn Leader checklist, which includes feeding animals and cleaning. Assist with emergency situations when they arise. To be a BLA, you must shadow 2-3 shifts, where you’ll learn proper handling of animals, the best cleaning practices, and more. To apply for this position, we require that you’ve worked 12 full shifts as a Little Barn volunteer. 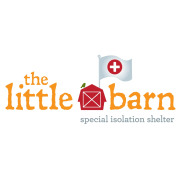 Assist a minimum of 2 Little Barn shifts per month. Work with dogs of all behavioral levels. Feel comfortable working with cats. Be able to multitask and overcome obstacles. Work well under pressure and be a team player.